A knowledgeable team lending our experience in small-business growth. 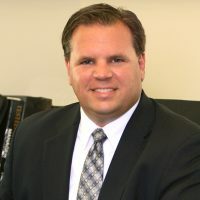 Since the start of his financial services career in 1979, Bryan has specialized in helping individuals accumulate and preserve wealth for retirement and beyond. 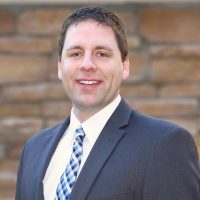 A native of Fairmont, Minnesota, Bryan earned his master’s degree in financial services from The American College in Bryn Mawr, Pennsylvania, before embarking on what would become a lifelong career as a wealth management consultant. He established, Sweet Financial Services, in 1987 and developed a relationship with Raymond James in 1989. 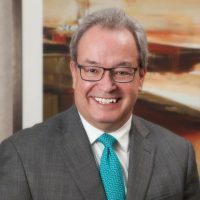 Bryan has been a member of the Raymond James Chairman’s Council since 2004(1). (1)Membership is based on prior fiscal year production. Re-qualification is required annually. This recognition is not indicative of the advisor’s future performance, is not an endorsement and may not be representative of individual clients experiences. (2)The 2016 Inc. 5000 is ranked according to percentage revenue growth when comparing 2012 to 2015. To qualify, companies must have been founded and generating revenue by March 31, 2012. They had to be U.S.-based, privately held, for profit, and independent—not subsidiaries or divisions of other companies—as of December 31, 2015. (Since then, a number of companies on the list have gone public or been acquired.) The minimum revenue required for 2012 is $100,000; the minimum for 2015 is $2 million. (3)Raymond James is not affiliated with and does not endorse the opinions or services of Peak Advisor Alliance, Ed Slott, Strategic Coach OR Genius Network. Membership to Ed Slott’s Elite IRA Advisor GroupSM is limited to the top financial professionals in the United States, with nearly 400 professionals dedicated to the ongoing training and mastery of advanced retirement account and tax planning laws and strategies. To be eligible to join Ed Slott’s Elite IRA Advisor Group, you must complete Ed Slott and Company’s 2-Day IRA Workshop or Ed Slott and Company’s eSeminar Series. Strategic Coach and Genius Network will provide the Sweet Financial team with “thinking tools” that open up our minds, conquer roadblocks, connect with industry transformers, and get access to best practices to curate discussions so we can develop and deepen relationships with clients. Raymond James is not affiliated with The Marilyn Sweet-Borchardt Education Foundation or Dare to Dream Enterprises or Dare to Dream Enterprises. Brittany joined Sweet Financial Services in November of 2008. Brittany’s goal is to harmonize the office so the staff is focused on providing personalized service and inspiring guidance. 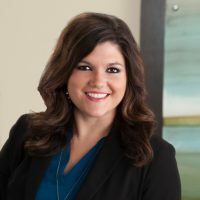 She works closely with Bryan in the strategic planning of the firm, controls the day-to-day operations, and provides leadership to the team in her management role. Brittany’s true passion lies in coaching others on the path to their best life. She plays an active role in Women Forward of Sweet Financial and has worked closely with Bryan to develop a platform that helps business owners achieve the concept of running a self-managed & multiplying company called Smarter Business. She currently lives in Sherburn with her husband, Dave, and daughter Jersey. *Raymond James is not affiliated with Women Forward or Smarter Business.